Many SMEs plan to fund their operations through debt, however too few understand the plethora of non-bank options now on offer or how the non-bank lending market is regulated. Due in part to mounting pressure by the Australian Prudential Regulation Authority (APRA) to hold higher levels of risk weighted capital, the appetite traditional banks once had for lending to SMEs is relatively low. However, this hasn’t been all negative for SMEs looking for capital to run the business. The good news is that tighter banking restrictions that have seen banks drift away from SMEs means they’re progressively being replaced by a profusion of alternative (aka non-bank) lenders. The trouble is that while alternative lenders can be a better match for SMEs, especially given the greater flexibility they offer, limited awareness of what’s on offer in this space means SMEs often struggle to find the right working capital solution. Sadly, while a lot of SMEs have outdated notions of non-bank lenders from years past, when they justifiably earned themselves a questionable reputation, they also have an over-rosy perception of the relationship they have with their current bank. While banks can and do offer SMEs with working capital, non-bank providers are likely to be more flexible around the amount, and terms of the loan. However, SMEs will have to take a more realistic approach to pricing risk if non-banks are the only lending game in town they’re being allowed to play in. That’s especially true for SMEs that have experienced solvency or liquidity challenges in the past. With interest rates at historical lows and banks continuing to tighten their lending restrictions in response to regulatory demands, now’s the time for SMEs to explore which non-banking lending options are offering the best working capital solutions. What SME owners should be looking for are different ways to potentially fund the business, which in the case of banks invariably means mortgaging property, and more often than not it’s the family home that’s on the line. Assuming you do have a property to encumber, the next questions you need to ask yourself as an SME owner is A) whether you want to provide it as security, and B) is this really the best option? One of the issues with providing property as security is that while the business is going to need more funding to continue growing, any subsequent fall in property value could actually see your line of credit cut back. In addition to not knowing what alternative funding options are available, SME owners typically lack an understanding of when they should be used. In reality, the best solution may include a mix of facilities tailored to the specific profile of each business. For starters, there are myriad unsecured loan options, which while being more expensive – with fees which on occasion may exceed 20 per cent – often provide short-term funding without needing to put the family home into the mix. What’s also an attractive compromise between bank debt which can see SME owners hocked to their eyeballs, and the pricing risk associated with short-term unsecured loans, is debtors finance. The beauty of a debtors finance facility is it allows lending to track specific amounts required on a weekly basis. By recycling payments, new invoices move precisely in-line with the debtors finance facility, which is especially beneficial as it allows funding requirements to mirror seasonal demand. Then there’s trade financing, which instead of providing cash, only draws down by asking the trade financier to pay one of your suppliers. As well as being used to pay overseas suppliers, a trade financing option also provides more attractive payment terms for those who need them. A trade facility is often going to be more expensive than bank debt but by leveraging the balance sheet, using the assets of the business, you can also avoid putting the family home up as security. Instead of willingly giving up equity in the family home in return for bank debt, SME owners should seek the guidance of a business adviser on the suitability of alternative lending options. Firstly, they need to understand the need for debt now, what debt will be required to support future growth, and why alternative lending options – despite higher fees – might make sense. Having talked to an initial handful of alternative providers, there may be one or two that SMEs can potentially lend from. It’s important at this juncture for any SME hoping to secure debt to have all its ducks in a row. That means having a coherent business plan with future growth forecasts. For those companies that have been challenged financially, it’s also important to demonstrate how the management team is now on top of the business going forward. 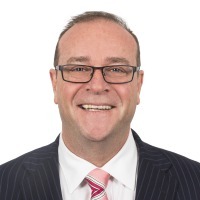 Macro-prudential tools adopted by APRA to tighten lending rules – like keeping growth in the value of property investing loan portfolios under 10 per cent annually — have materially impacted the banking sectors’ lending behaviour in recent years. What’s also directly affected the lending practices of major banks are their obligations under global regulatory frameworks (like BASEL III and now IV) to further strengthen its capital requirements, namely by increasing bank liquidity and decreasing bank leverage, to strengthen their balance sheets in the event of another financial crisis. In light of greater liquidity regulation, bank appetite to provide products like wholesale funding, high-risk loans, lines of credit, overdrafts and collateral has diminished. This in turn has created opportunities for Australia’s burgeoning non-bank sector. While APRA currently regulates banks and other authorised deposit-taking institutions (ADIs), it does not regulate lending by non-bank financial institutions. Instead, regulatory oversight of the non-bank sector is currently the responsibility of the Australian Securities and Investments Commission (ASIC) which, while enforcing responsible lending, does not have the power to implement macro-prudential policy measures. However, broader regulatory powers for APRA announced in May’s federal budget, mean it will now be a watchdog for the unregulated non-bank sector. While the non-bank sector is bound by responsible lending regulations, there’s growing speculation that APRA’s powers will eventually extend into the non-bank sector to set specific limits and ensure loan quality remains comparable to that of banks and other ADIs.